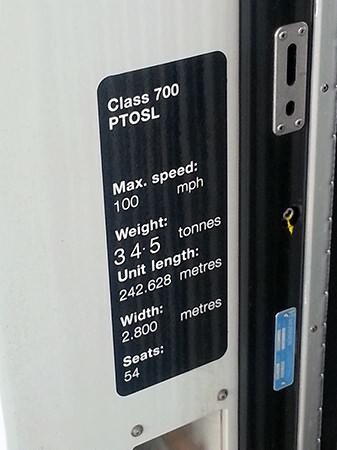 This is the first of two pages of exterior details of unit 700109, for interior details please click here. 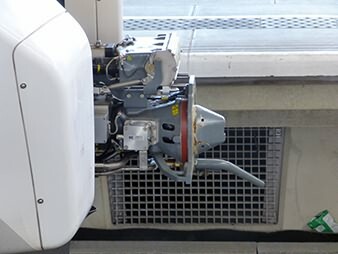 (below) Covers on underfloor electrical equipment. 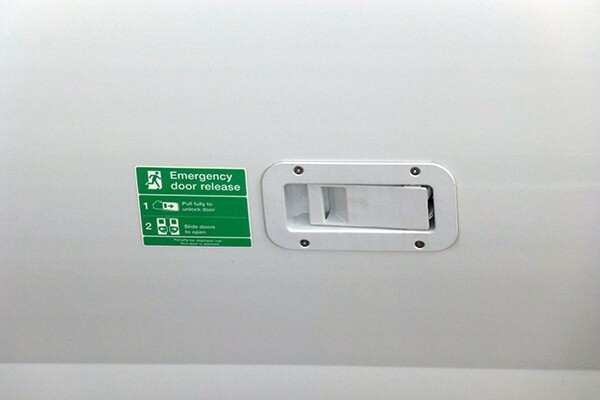 (below) Emergency door release on the lower body. 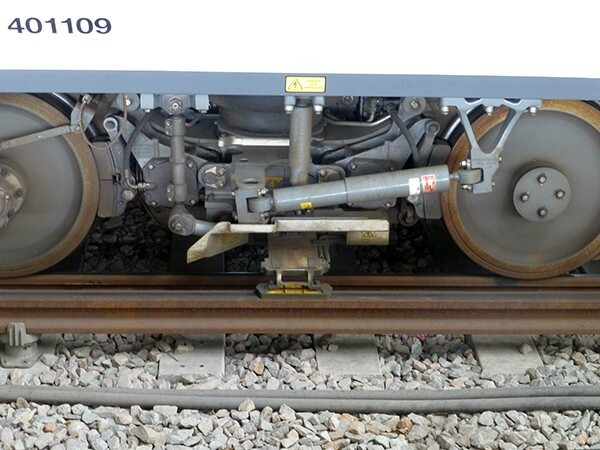 Data plate of just one vehicle, either car 2 or car 11 in a 12 car set. 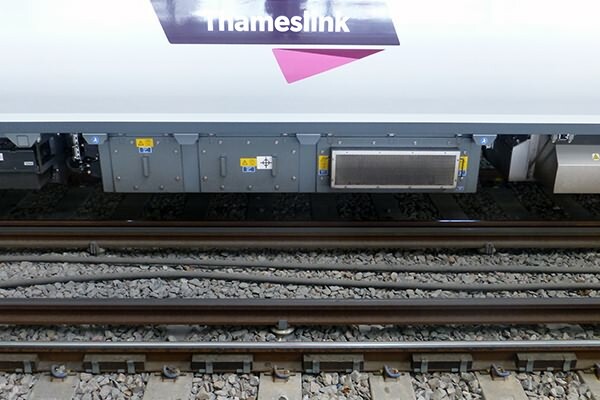 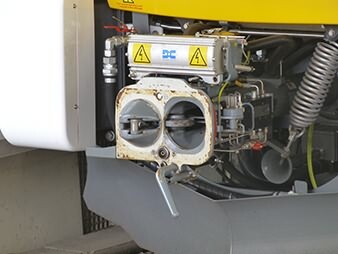 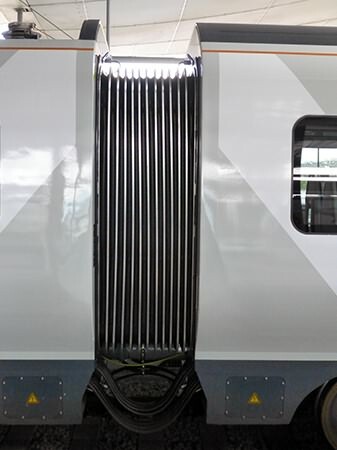 A full width inter-car connection cover.